After falling behind 5-0 in the third, Lynchburg responded with a four-run frame to cut the margin to 5-4. 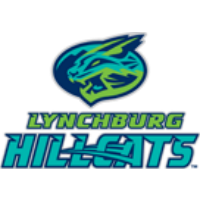 One inning later, the Hillcats scored again but still trailed 6-5 at that point and eventually fell by a 9-6 final to the Myrtle Beach Pelicans Friday night at City Stadium. Myrtle Beach used a five-run third inning, highlighted by a Tyler Alamo three-run homer, to claim a 5-0 lead. Lynchburg answered immediately with a big inning that began with a leadoff walk to Daniel Salters. Juan De La Cruz followed with a double. Two batters later, Andrew Calica drove in the first Hillcats run of the game with an RBI groundout to shortstop. Ka’ai Tom singled to bring in De La Cruz, and Connor Marabell capped off the scoring for the stanza with a two-out, two-run double over the head of the center fielder, making it 5-4. The Pelicans picked up an unearned run in the fourth, but Lynchburg once again cut its deficit to one with the combination of two singles and a sacrifice fly. Yonathan Mendoza and Salters had back-to-back hits to open the fourth, and De La Cruz hit a fly ball deep enough to right field for Mendoza to tag and score. Lynchburg trailed 6-5 entering the fifth, but Myrtle Beach pushed three runs across on four hits in that frame to lead comfortably the remainder of the contest. The Hillcats plated their final tally in the seventh. Tom and Marabell each walked to reach base. The pair then executed a double steal, and an errant throw into the outfield allowed Tom to come home. Tommy Thorpe (2-1, 4.26) earned the win after coming out of the bullpen in the fifth inning and tossing 2 1/3 innings of relief. He surrendered one run on two hits while striking out three during that time. Jared Robinson (1-3, 6.32) suffered the loss after conceding five runs on four hits and two walks in three innings. James Norwood struck out three in a row in the ninth for his third save of the season. Lynchburg will attempt to even the series against Myrtle Beach Saturday night at 6 p.m. Shao-Ching Chiang (2-1, 0.93) has gone seven innings in each of his last two starts and will look for his third consecutive victory when he takes the mound for the Hillcats. Left-hander Justin Steele (1-1, 1.56) will start for the Pelicans. It’s a Sparkling Saturday, so fans will be treated to a Postgame Fireworks show. Fans who can’t attend can listen to the game live at www.lynchburg-hillcats.com beginning at 5:50 p.m.